As we move rapidly towards ever-greater levels of wind and solar power in the network, increasing quantities of storage are needed to smooth intermittency and ensure secure supply. Pumped hydro energy storage and batteries are likely to do much of the heavy lifting in storing renewable energy and dispatching it when power demand exceeds availability or when the price is right. We’ve previously compared the two technologies in terms of their costs, the speed with which they can be deployed, and their ability to support the grid. Here we compare their sustainability in terms of storage efficiency and capacity, safety, use of scarce resources, and impacts through all stages of their lifecycle. For both batteries and pumped hydro, some electricity is lost when charging and discharging the stored energy. The round-trip efficiency of both technologies is usually around 75% to 80%. This level of efficiency for either technology represents a significant displacement of non-renewable generation if we assume that the stored generation would not otherwise occur. A particular consideration for batteries is degradation. Batteries degrade as they age, which decreases the amount they can store. The expected life of the batteries that will be used for the recently announced battery storage project in South Australia is about 15 years (depending on how the batteries are operated). By the end of that time, the capacity of the batteries is expected to have dropped to less than 70% of their original capacity. To maintain a reliable and steady capacity for storage as batteries age and degrade, large-scale battery plants will require ongoing staged installation and replacement of batteries. In comparison, the degradation of pumped storage is close to zero. With appropriate maintenance, peak output can be sustained indefinitely. No storage solution can be considered sustainable unless it is safe. The greatest risk relating to pumped storage is dam safety. If it occurs, dam failure can affect downstream communities and the environment, with its impact potential likely to be far greater than a battery safety incident. Nevertheless, pumped hydro technology is mature, dam risks are generally well understood and managed, and the frequency of dam safety events is low. The main safety concern for batteries is thermal runaway leading to explosions and fires. The severity of this risk will depend on how a battery project is implemented. In a modular arrangement, thermal runaway would be localised, not affecting the whole bank. However, because of the very rapid deployment of evolving battery technologies, safety standards may not be rigorously enforced. Pumped hydro and grid-scale battery plants may have environmental and land-use impacts. These impacts would vary depending on the sensitivity of the site selected. 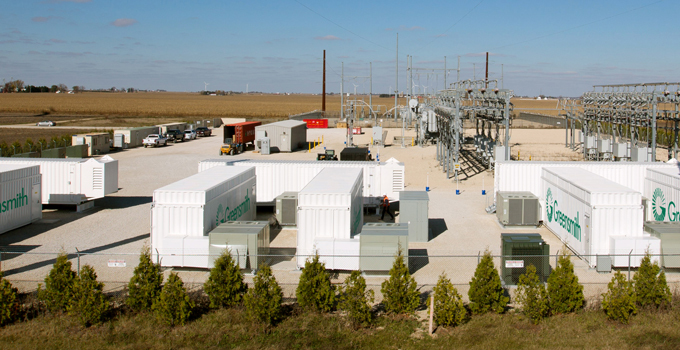 A grid-scale battery facility needs a relatively small parcel of land and is likely to be able to be created very close to the energy demand or where generation occurs. Land in these areas has often already been disturbed and the new operations may have little extra environmental impact. Land and water impacts of batteries relate more to their disposal at the end of their effective life, and to the extraction of the resources to produce new batteries. Pumped hydro requires a relatively larger parcel of land with a very particular topography, and may be far from the location of the demand. Any potential environmental impacts associated with construction and operation need to be considered and mitigated, including those immediately associated with the site, as well as downstream. In most construction of new pumped hydro, sites are selected where impacts can be mitigated to acceptable levels, for example by using existing reservoirs, or locating ‘closed loop’ systems away from rivers. Although these arrangements will have lower overall impacts, some environmental challenges may still occur during construction when existing water is removed from the site as well as finding a source of water without impacting the environment and other users. Environmental impacts during operation of pumped hydro are minimal. However, the ecology within the reservoirs will need to adapt to frequently changing water levels, reducing diversity in the system especially within fringing communities. In all pumped hydro systems, water is re-used over and over again, extracting maximum value from the resource. Nevertheless, depending on the configuration of the pumped hydro project, there may be an ongoing demand for water to top up the storages to counter evaporation. Batteries and pumped hydro require a range of different resources and materials. Lithium-ion batteries use common materials such as plastic and steel as well as chemicals and minerals such as lithium, graphite, nickel and cobalt. 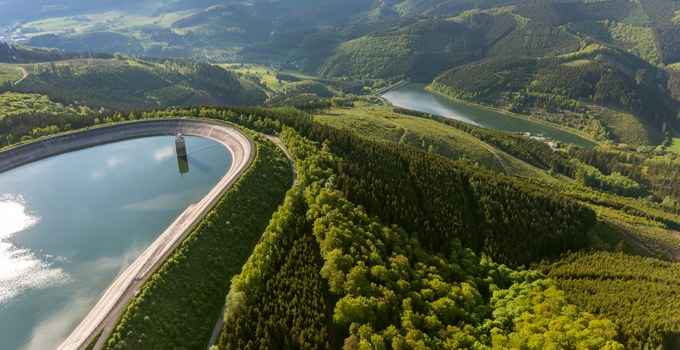 Although pumped hydro mainly relies on common building materials such as concrete and steel, the quantities of these materials and the construction impacts can be significant. Image courtesy of Greensmith, a Wärtsilä Energy Solutions company. Determining the ultimate sustainability of the required resources and materials for both technologies needs to take account of the full lifecycle and supply chain (mining, processing, refining and manufacturing) as well as end-of-life issues such as recycling, disposal or decommissioning. Currently, the environmental and health impacts of mining are a significant sustainability concern for the battery industry, and impacts are likely to intensify as worldwide demand for the necessary minerals rapidly increases. Short-term availability of many of the necessary minerals for battery development, such as lithium, appears sufficient, yet security of supply could be compromised by geo-political factors, and long-term availability will depend on levels of demand. Ultimately, the minerals used in lithium-ion batteries are finite resources, so limiting or reducing their extraction (for example, through greater recycling or substitution for another battery technology) would increase longer term sustainability. A battery’s life depends on the technology and on frequency of charging and discharging. Once their effective life is up, the batteries must be disposed of and replaced. Disposal of batteries is a problem we’re yet to face, but as large-scale battery storage proliferates, increasing numbers of batteries will enter the global waste stream. Without careful management of disposal, what cannot be recycled may end up in landfill and may be corrosive, flammable, or could leach toxins into soil and water. The development of cost-effective and efficient battery recycling methods is still in its infancy. Although most of the components of batteries can be recycled to some extent, recycling is currently expensive and there is insufficient volume to encourage commercial enterprises to take on recycling the new generation of batteries. In time, improved recovery and re-use of materials will certainly increase the sustainability of battery storage, preserving virgin resources and reducing the impacts of extraction and processing. End-of-life considerations for pumped hydro seem very distant right now due to hydropower’s longevity, but sustainable decommissioning still needs to be planned for, including managing the impacts on the downstream environment if a dam is removed and rehabilitating the reservoir area. At this early stage of development of large-scale battery technology, comprehensive lifecycle analysis is limited by the diversity of battery materials and widely different scenarios of charging, battery life and recycling. In contrast, the full lifecycle of pumped hydro is better understood due to the maturity of the technology. Pumped hydro is not without impacts, but the risks are known and generally manageable. A major advantage of pumped hydro over batteries is that the expected life of pumped hydro is more than 100 years, or effectively unlimited with appropriate maintenance. Batteries may have a lower upfront cost than pumped hydro and be easier to approve and install; however, they are likely to require greater management over time. If a projection is made based on current information, the full lifecycle cost and impact of batteries may be greater than hydro across the long term, particularly when mining, recycling and disposal are taken into account. Yet, battery technology is likely to improve very rapidly, which would tighten the gap on pumped hydro’s current lifecycle advantage. Worldwide, increased levels of renewable energy will lead to a greener grid. It is easy to recognise the sustainability benefits of using a storage solution such as pumped hydro or batteries to further enable the decarbonisation of the network through greater uptake of renewable energy. 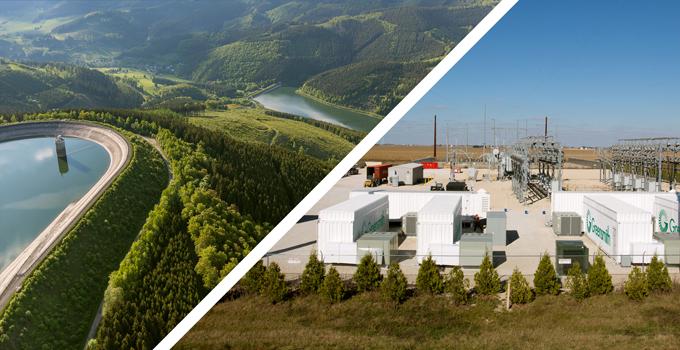 However, the storage solutions that enable more renewables must also be sustainable – not only in the use phase, but also upstream and downstream. It is difficult to make a straightforward comparison of the sustainability credentials of pumped hydro and battery storage technologies at their very different stages of maturity. As battery technology is still evolving, its overall sustainability is still somewhat uncertain, but this will change with experience and improvements in battery life and recycling. Meanwhile, pumped hydro projects can last up to a century and associated risks are known and can be mitigated. Either way, as we redevelop the electricity grid, we will also need a mature approach to lifecycle analysis of our storage solutions.